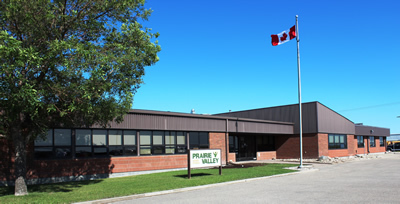 Prairie Valley School Division has received approval from the Ministry of Education and Board of Education to purchase land for the new school. This land is identified as Bowers West Estates - Site A2. Prairie Valley does not have approval to construct at this time. Planning work will continue over the next year. The first stage in planning for a new school in the White City/Emerald Park area is complete. The planning work is for a second school in the White City area, and Stantec Inc. is the lead architect for the project. The planning work comes as enrolments increase in the current White City elementary school. Enrolment is projected to increase over the next 15 years due to a continued demand for new housing in the area. The main areas of residential growth in the attendance area are the Town of White City, the Emerald Park area and the Rural Municipality of Edenwold. 1. Determine grade configurations of the new school. 2. Determine project partners such as the Town, RM, Library Board, potential daycare. 5. Develop criteria for site selection. The Stage One submission was presented to and endorsed by the Board of Education in December 2009 and the White City School Community Council in January 2010. The final document was submitted to the Ministry of Education in February 2010. The Ministry of Education will consider this proposal along with capital project requests for all other school divisions. The timing of approvals, including construction, is dependent on provincial approval and funding. Project approvals and funding are dependent on the Ministry of Education. The new school is currently listed as number 7 in the Priority 2 (Critical Space Shortage) Category. The current White City School, which is a Kindergarten to grade 8 facility, will remain open.